?The Parade will begin at the Liberty Fire Station at 5th and Center Streets and proceed south on Zane Highway to Hickory Street. ?After a left on Hickory Street, the Parade will proceed north on 4th Street to Walnut Street. 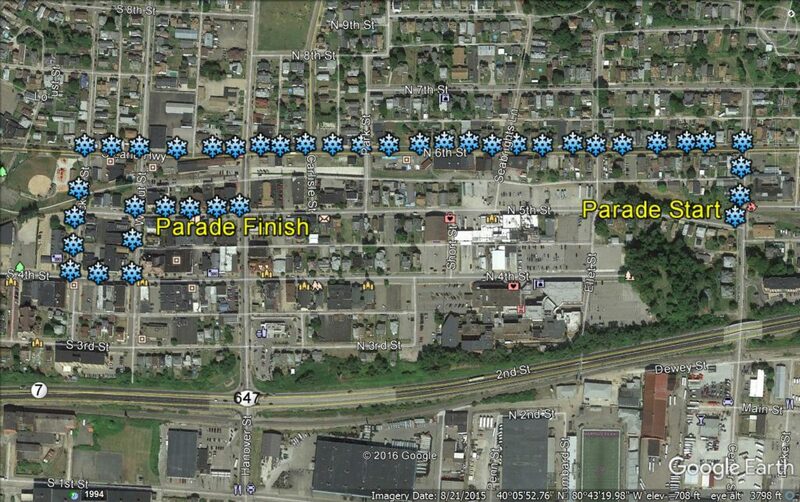 ?A left on Walnut Street will be followed by a right on 5th Street with the Parade ending at Hanover and 5th Streets.